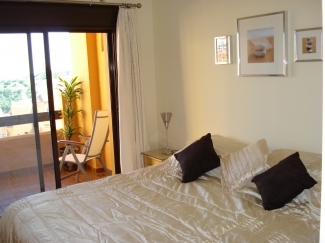 The apartment is situated between Marbella and Gibraltar and makes an ideal base for exploring southern Spain. Duquesa marina is only 1 kilometer away where there are a variety of bars and international restaurants. Further inland are the white walled mountain towns of Andalucia such as Ronda, Benehavis and Casares. Other attractions include Gibraltar, Tarifa (with high speed links to Tangiers for a day trip), Aquaparks, Tivoli Theme Park, Marine Centres, Wildlife Parks and many Boat Trips (such as Dolphin Safaris) If you enjoy shopping, there are the designer stores in Puerto Banus and Marbella as well as some interesting local stores and markets. You should never be at a loss for something to do. 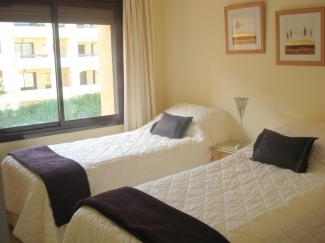 If you prefer to relax the apartment over looks one of the communal swimming pools.